Mr Ahmad Sayasneh joined Guy’s and St Thomas’ as consultant gynaecological oncology surgeon in August 2015. 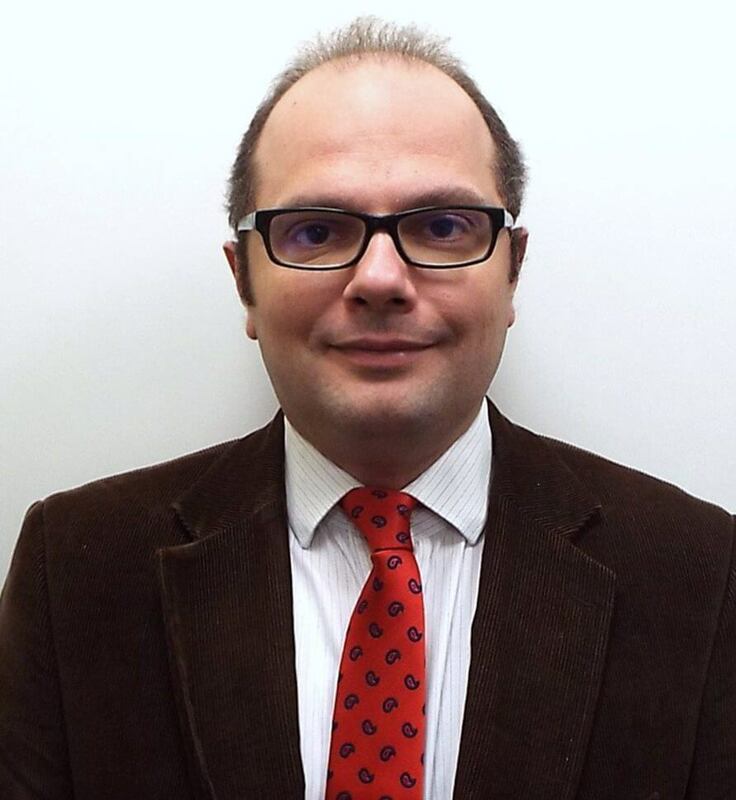 He is also clinical senior lecturer at Imperial College London (School of Medicine, Department of Surgery and Cancer). His main research interest is ovarian cancer (screening, diagnostics and management). After obtaining his medical degree with distinction from Damascus University in 1998, Ahmad completed his overseas training in obstetrics and gynaecology. He moved to the UK in 2004 to pursue his gynaecological oncology and minimal access surgical training and obtained his MRCOG in 2006. Ahmad received a Doctorate of Medicine MD(Res) in ultrasound characterisation of ovarian masses from Imperial College London. He completed subspecialty training in gynaecological oncological surgery at Hammersmith Hospital, London and received Royal College of Obstetricians and Gynaecologists advanced training in vulval disease and vaginal surgery at Cambridge University Hospitals. Accredited as a colposcopist by the British Society for Colposcopy in 2010, Ahmad is also a member of the UK uterine transplant research team and the British Gynaecological Cancer Society (BGCS). In the last six years, Ahmad has been a member and an invited speaker in the faculty panel of the International Ovarian Tumour Analysis Group and the International Society of Ultrasound in Obstetrics and Gynaecology. Gynaecological ultrasonography, ovarian cancer, radical and ultraradical gynaecological surgery, minimal access gynaecological surgery, oncofertility and fertility preserving surgery in cancer. Postgraduate MD(Res), Dual CCT Obstetrics and Gynaecology, subspecialty in gynaecological oncology, ATSM advanced training module in vulval disease, ATSM advanced training module in vaginal surgery, BSCCP (diagnosis and treatment), and Postgraduate Certificate in Sexual Health Skills (30 credits, level 3).